Since 1972, attorney Larry D. Hughes has been solving the legal problems of clients in Santa Clara County in a timely and affordable manner. His practice is limited to family law cases. 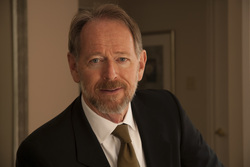 Mr. Hughes has represented clients in more than 1500 family law cases. He takes the time to research and fully understand your case. He answers your questions and helps you understand the legal process and the options available to resolve the issues in your case. His goal is to help you to obtain a fair and equitable result taking into consideration all of your rights and claims. Attorney Larry D. Hughes understands that most divorce cases involve difficult and emotional financial and family issues. It is a stressful and uncertain time for both spouses. Mr. Hughes endeavors to guide you through the process, help you avoid the pitfalls, offer solutions and advice based on his experience and to preserve a respectful relationship between the spouses. Focused on resolution. Attorney Hughes has been handling family law matters for more than 40 years. He has settled many cases by negotiation and discussion and has litigated many issues in court. His experience has been that most clients prefer a result that is achieved by negotiation and discussion in which the client actively participates. He believes litigation should be the last resort to be used only when negotiation fails and the unresolved issue justifies the expense of obtaining a judicial decision. Dedicated to ethical practice. As a result of family law attorney Larry D. Hughes’ commitment to his profession and his clients, he has earned high praises from his peers for honorable legal representation. Committed to the legal community. California attorney Larry D. Hughes demonstrates his community leadership by engaging and educating the legal community on family law and new advances in the legal sector through local lectures. Attorney Larry D. Hughes also provides mediation and consultation services in family law cases. Mediation – Mediation offers divorcing couples the option of working with a neutral attorney-mediator to resolve all issues in their case, prepare all of the required documents to complete the divorce case and obtain entry of the divorce judgement. Mr. Hughes has served as the Mediator for many couples who through the mediation process have avoided going to court and the expense of litigation. Consultation – Meet with Mr. Hughes to obtain advice, analysis and guidance on a particular matter or issue. Individuals who wish to represent themselves in a divorce case often need help and guidance on a particular issue or procedural matter. Individuals represented by an attorney may wish to obtain a second opinion on a particular issue. Mr. Hughes provides those services on an hourly fee basis. Call 408 370-5200 today to contact family law attorney Larry D. Hughes, or contact him online. The Law Offices of Larry D. Hughes accepts all methods of payment – cash, check and credit card. Law Offices of Larry D. Hughes serves clients throughout Santa Clara County, California.